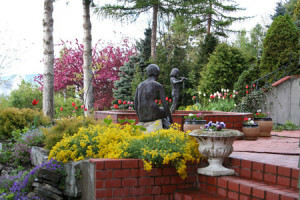 Situated on a hillside west of the city of Kalispell, Bibler Gardens overlooks the Flathead Valley and the Swan Mountains to the east, with views of several peaks in Glacier National Park. The main portion of the garden consists of four acres of beautifully landscaped beds and water features. 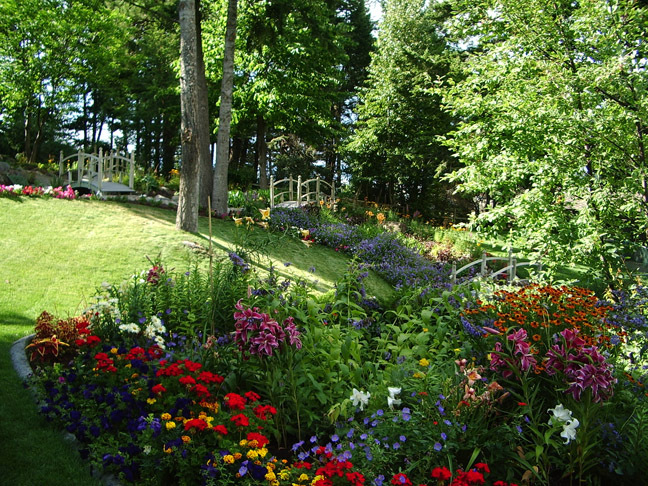 The gardens are intensively planted to achieve a stunning floral display in both spring and summer. Brooks and waterfalls flow past colorful beds into two ponds, highlighted with bridges, sculptures in both stone and metal, fountains and a gazebo. Throughout the spring and summer seasons, Australian black swans, Argentinean black-necked swans, and native Tundra swans roam the ponds. In early May, spring is in full bloom at the gardens as thousands of tulips, daffodils, and other bulbs reach a crescendo, accented by borders of Basket of Gold alyssum, aubretia, and candy tuft. Apple, plum, pear and other flowering trees are usually blooming at this time. Miniature donkeys and goats frequent the log stable and adjacent paddocks. Enjoy a lovely view from the main floor of the stable. In late May and early June, our head gardener and crew begin planting thousands of annuals including many varieties of petunias, marigolds, cosmos, and heuchera, to name a few. 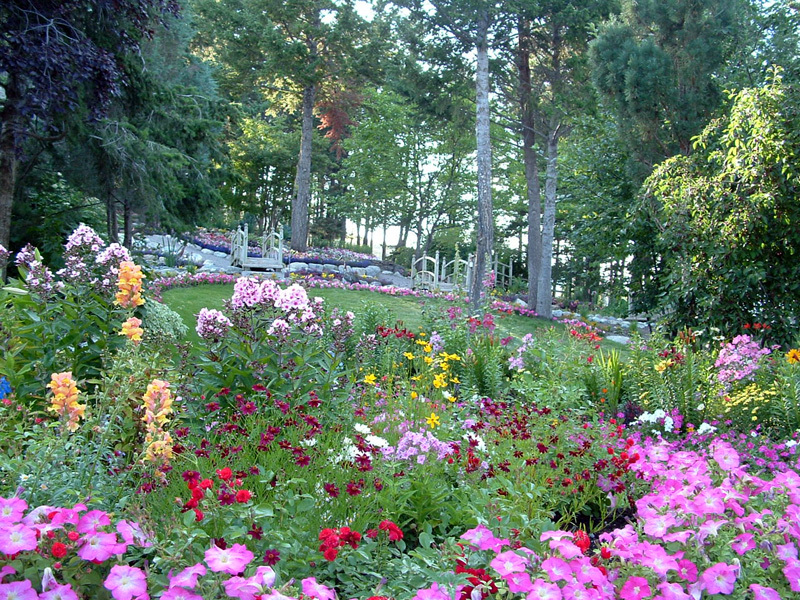 These annuals will accent the dazzling display of daylilies, delphiniums, rudbeckia,hollyhocks, and many other perennials. The summer display reaches its peak in late July and early August, but continues to be colorful until September frosts. 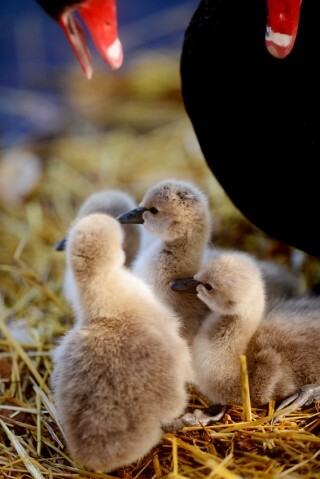 Black swan parents dote on their brand new cygnets (Fall 2014).